On the verge of exporting the first "Made in China" cars to the United States, Volvo is determined to show they are as good as vehicles it produces in Europe. In contrast to its European factories that check a few completed cars from each batch, every vehicle that rolls off Volvo's 3-year-old assembly line in this city in China's southwest goes through a five-hour battery of tests on a driving track. 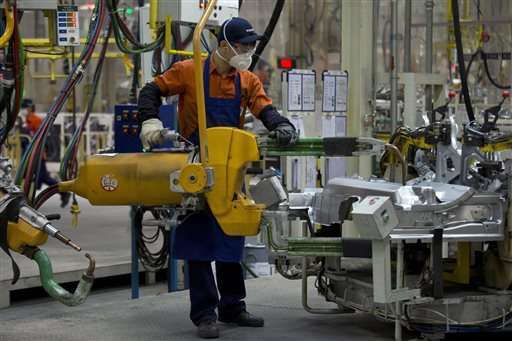 Once a month, or three times as often as in Europe, Volvo tears apart a finished car in Chengdu to examine the quality of welds and other work. The effort to persuade Americans to buy a premium car from China is a new step up in Volvo Car Corp.'s campaign to establish itself as a global luxury brand following its 2010 acquisition by Chinese automaker Geely. "I have heard no customer ask me where his car is built. It is built by Volvo and is Volvo quality, and of course Chengdu will be exactly the same," said CEO Hakan Samuelsson. "I am quite confident that we will demonstrate that." The sedan due to be exported from Chengdu is the S60 Inscription, based on Volvo's S60L, a version of the S60 sedan designed for China with an extra eight centimeters (three inches) of rear seat legroom for buyers who have a driver and ride in back. Volvo follows automakers including Cadillac and Mercedes Benz that sell extended sedans for the distinctively Chinese market of "rear seat customers." In June, the first U.S.-bound S60 Inscriptions are to be shipped down the Yangtze River to Shanghai, then across the Pacific to the United States. Volvo expects to send about 5,000 per year to the United States, according to Samuelsson. He said Volvo has no plans to "massively export" but, since that model will be produced only in China, will send a few to add to its U.S. lineup. The decision follows a string of product quality scandals in the U.S. over faulty or tainted Chinese goods ranging from tires to toothpaste. 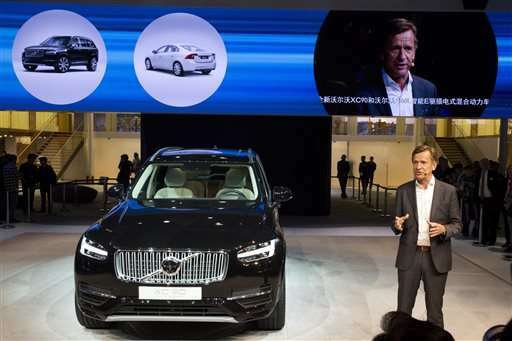 Still, Americans are comfortable enough buying Chinese-made products that the location of Volvo's factory is unlikely to matter so long as the company maintains its quality standards, said industry analyst Yale Zhang of Auto Foresight, a Shanghai research firm. "Many things are selling in America that are made in China," said Zhang. "Now it's just another one, a foreign brand that is a car." 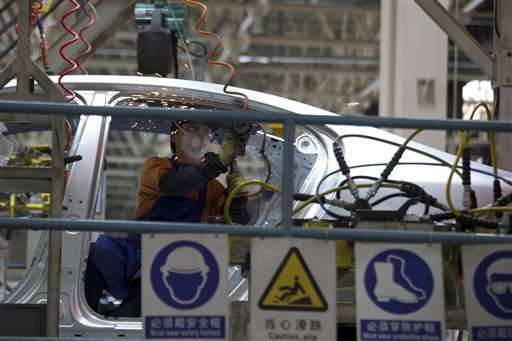 Exports of Chinese-produced cars to the United States, even under a European brand, are a milestone for the ruling Communist Party, which wants to see its auto industry expand into global markets. 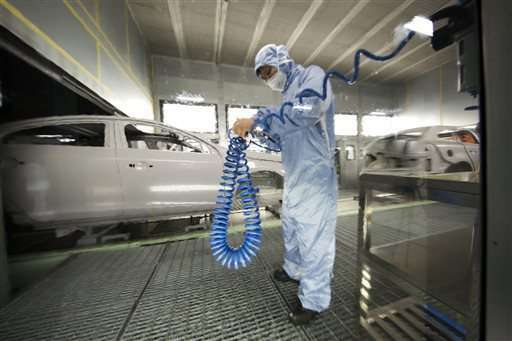 A handful of China's young but ambitious auto brands have announced plans to export to the United States or Western Europe only to find they could not meet emissions and safety standards. For its part, Volvo has been exporting to the United States since the 1960s from its European factories in Gothenburg, Sweden, and Ghent, Belgium. The company wants its Chinese auto factories in Chengdu and in Daqing in the northeast and its engine plant in Zhangjiakou near Beijing to be seen as an equal part of that network with the same technology, components suppliers and quality standards. 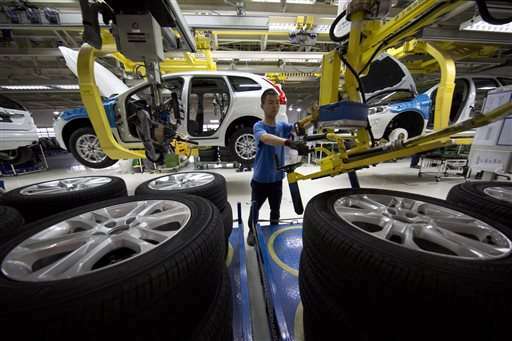 The company says the Chengdu factory's air emissions will be cleaner than the average auto plant in Europe. Volvo is planning a U.S. assembly plant and says the location will be announced in the next few weeks. "We have to explore the global market," the founder and chairman of Geely, Li Shufu, told reporters during the Shanghai auto show this month. Other foreign brands including GM export some Chinese-made vehicles to other developing markets but most say they need all their production capacity to supply China, the biggest auto market by the number of vehicles sold. Instead of being absorbed into Geely, which also sells cars under its own name, executives say the 2010 acquisition liberated Volvo, which had been a unit of Ford Motor Co. and shared vehicle platforms and components with Ford brands. Following the acquisition, Volvo launched an $11 billion campaign to create its own technology and models and to expand its factory and sales networks. "Everyone tells me that we are now more independent than we have ever been," said Samuelsson. 2014 was Volvo's best year to date, with sales up 9 percent to 465,866 vehicles. Profits were 2.2 billion kronor ($252 million) on revenue of 130 billion kronor. China was its biggest market, accounting for 17 percent of sales, followed by Sweden at 13 percent and the United States at 12 percent. 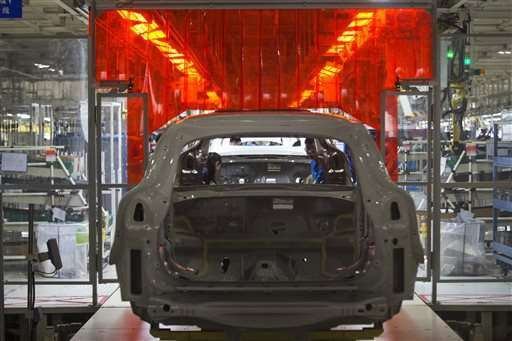 This year, the company says it aims to exceed sales of 500,000 vehicles for the first time. Volvo is working with Geely on developing shared vehicle platforms. Li, the Geely chairman, said the Chinese brand wants to draw on its Swedish sibling's know-how in safety and in cleaning the air inside the vehicle—an important feature in China's smog-choked cities. Geely has just launched its first vehicle made with Volvo technology, the Borui sedan. With that partnership, "Geely's products can develop much faster than other competitors," said Zhang, the analyst. Li says he has avoided telling Volvo's Swedish managers what to do, because he wants to protect the special qualities of a brand he admires. When asked whether Volvo might cut prices in response to a slowdown in the Chinese auto market, Li said a reporter would have to ask the Swedes. "Li Shufu is a very smart guy," said Zhang. "He understands the gap between the two brands and he purposely tried not to interfere." One area where Li played an active role with Volvo was in developing the extended sedan, according to Samuelsson. He said Volvo needed a Chinese-style vehicle but, with its roots in Scandinavia, where most buyers drive themselves, lacked the right experience. "His opinions have influenced this as a very experienced 'rear seat customer'," said Samuelsson. Volvo also has gained from its Chinese ownership, a status that exempts it from regulatory handicaps faced by foreign-owned automakers in China. "We can move much, much faster," said Lars Danielsson, a Volvo senior vice president in charge of China.